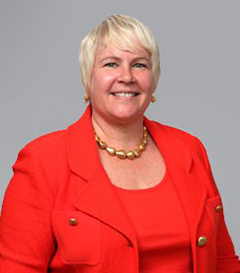 Ms. Krus has been involved in numerous public and private securities offerings over her career and has advised clients in connection with a wide variety of corporate transactions, including mergers and acquisitions, proxy contests, exchange and rights offerings, going-private transactions, and reorganizations. She counsels public companies on a broad range of corporate and securities matters, corporate governance, disclosure, executive compensation, whistleblower regulations, shareholder matters, proxy contests, shareholder activism and crisis management. She has developed corporate governance frameworks for public and private companies, and frequently advises boards of directors as well as independent committees of the board, including audit, compensation, and nomination committees, on governance matters. Ms. Krus advises companies on the structure of corporate entities and the establishment of private and public investment funds. She has advised financial services companies and insured depository institutions on business formation and regulatory compliance matters. She is the editor of the Corporate Secretary’s Answer Book, an annually updated compendium of corporate governance guidance, and she speaks extensively on securities and corporate governance topics. Ms. Krus has previously served as an Adjunct Professor at Georgetown University Law School, where she taught Corporate Governance for four years, and at George Washington University. The Corporate Secretary's Answer Book is the only comprehensive, single-volume reference to address the specific tasks corporate secretaries face on a daily basis in a Q&A format. Every topic is conveniently listed for easy reference with an index organized by commonly used terms.